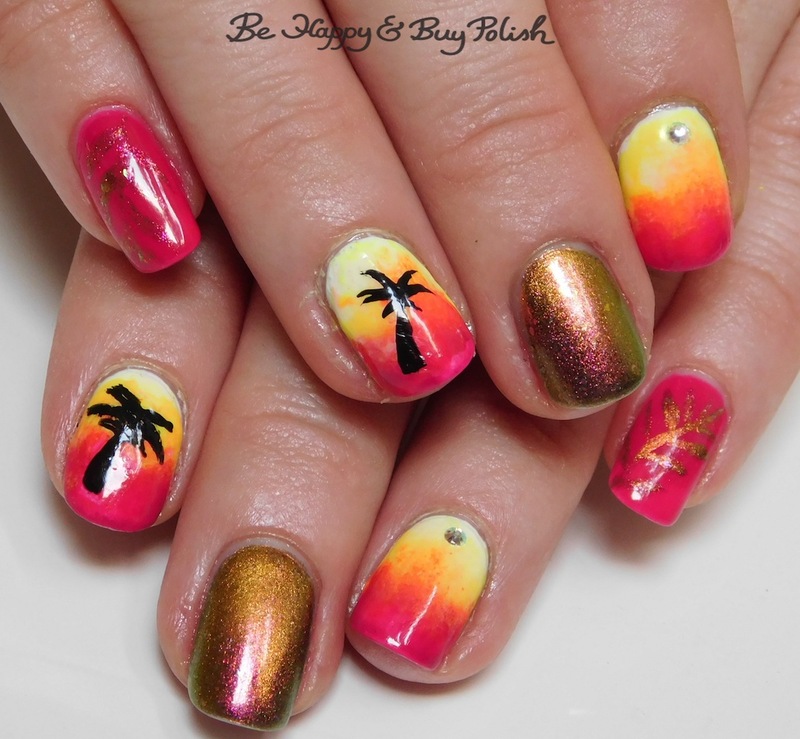 Well it’s getting towards the end of summer, so how about a hot tropical manicure? It’s cooled off quite a bit here (mountains could get snow tomorrow!) but I’m always up for a beach getaway! Tonic Polish Innocence, 2 coats plus top coat. Formula on this is thick, but in the perfect thickness for me. 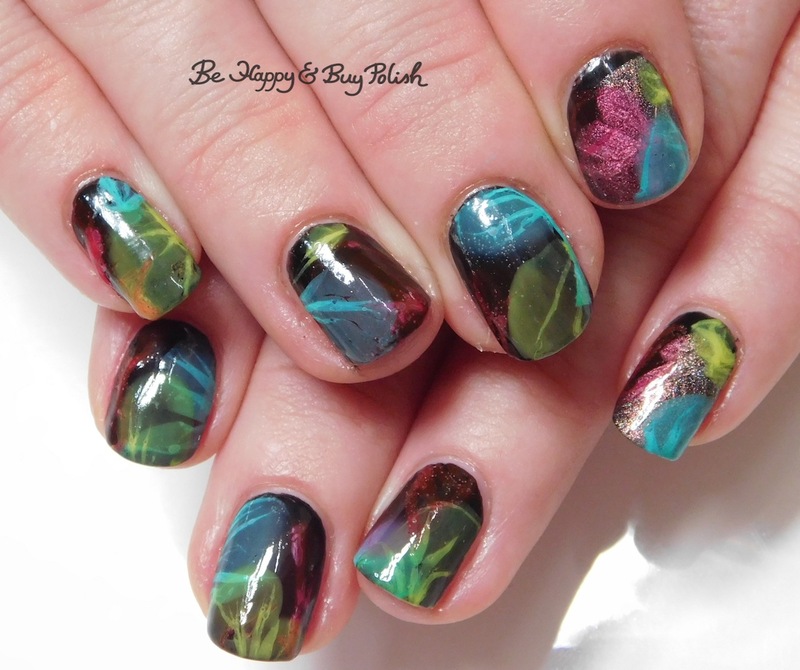 Blackheart Beauty AB Star Gazer, 3 coats plus matte top coat plus shiny top coat. This is thick, in a cloying-never-drip-even-though-it-seems-like-it’s-gonna-drop-any-second way. Ugh. Sure is pretty though. I’m so freaking pleased with how my Easter Day manicure turned out that I just have to show you right away! I don’t ever wanna take it off, that’s how much I love it – and I have copious amounts of pictures to prove it. 😛 I loosely followed this tutorial from alla_nails on instagram for the smooshy part of the manicure. Hey yo, all! I feel like the Fonz when I said that. 😀 I hope you are having a great day, and for this Monday morning I have a fun skittlette to show you. 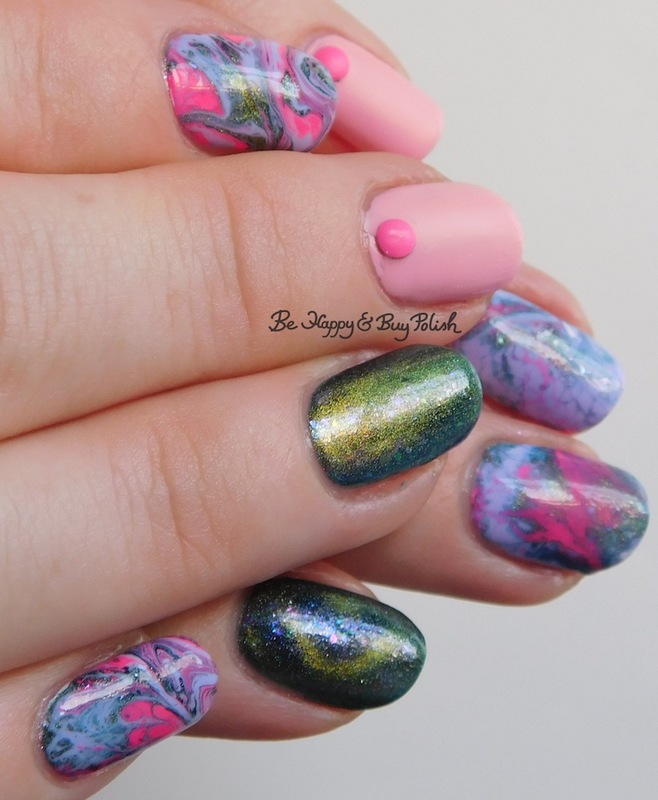 I started with 2 coats of Glitter Gal Cosmetics Serpent Black on my pointer and pinky fingers, 2 coats of B Squared Lacquer Plur on my middle finger, and 3 thin coats of Reverie Nail Lacquer Mermaid Scales on my ring finger and thumb. 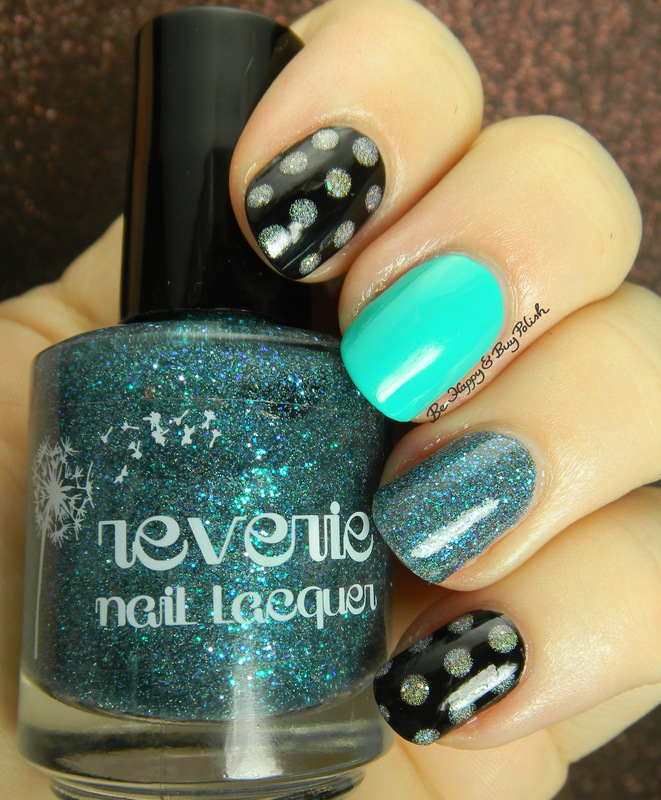 The holographic dots on top of Serpent Black I created with Orly Mirrorball. Mermaid Scales is a really lovely dense glitter bomb with blue and turquoise glitters and holographic finish. It was quite thick though, so I kind of struggled to do the thin coats. Of course, I had to do some sun photos, right? This was such a fun & sparkly manicure to have on for awhile. 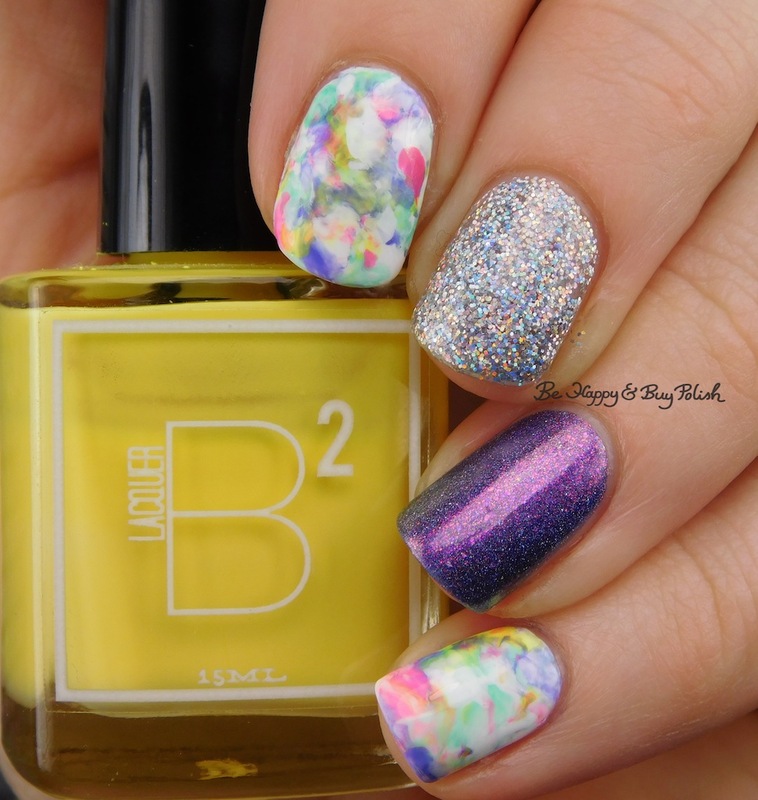 What’s your favorite sparkly nail polish to slap on your nails? Hi everyone! I have kind of a summery manicure to show you today – which makes sense because this is from this past summer. LOL! I started off with B Squared Lacquer Rave on my pointer and middle fingers, OPI Alpine Snow on my ring finger, and B Squared Kandi on my pinky and thumb. Using star stencils on painters tape, I painted over my pointer & middle fingers with Kandi, and did the opposite on my pinky & thumb. 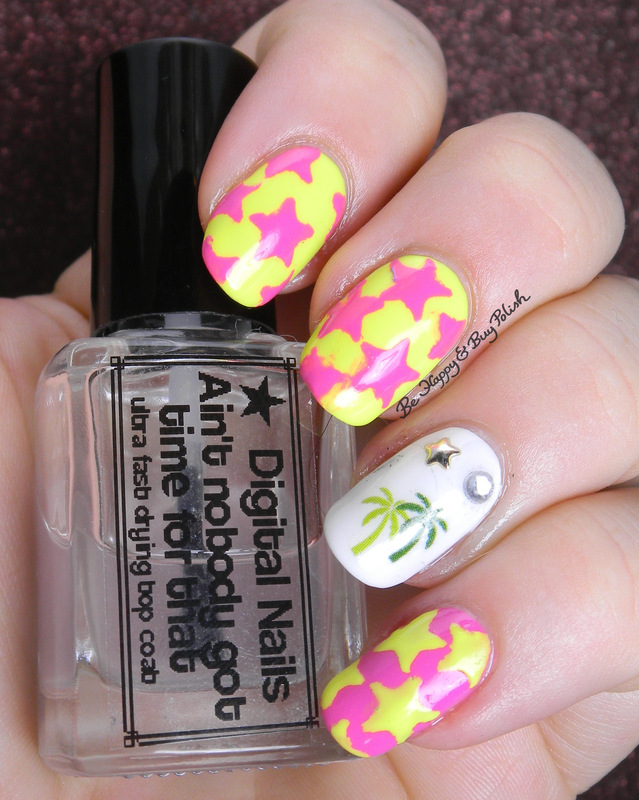 I used SinfulColors water slide palm tree decals (from last summer) on my ring finger, along with a couple of studs. I was trying to go for a tropical feel, not sure if it worked out or not, but I liked it!